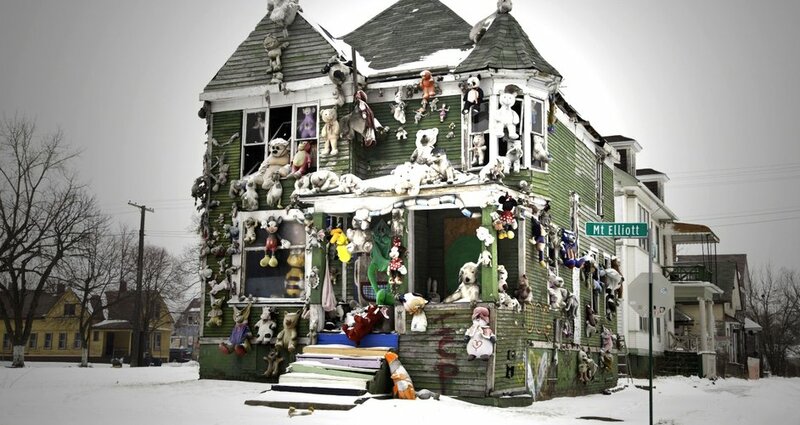 Charlie discovered that in the midst of bombed out houses and the hollow shells of factories, the American dream is slowly gaining ground again, re-birthed through the works of modern innovators like artist Tyree Guyton and his Heidelberg Project. 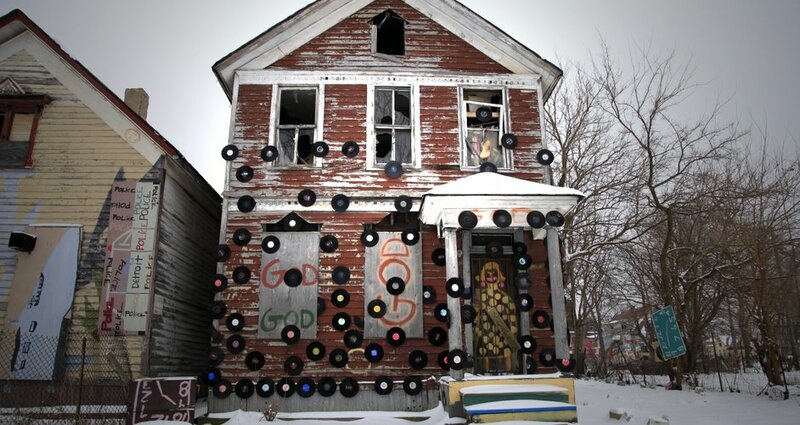 During their stay in Detroit, the film crew got a number of breathtaking and haunting still photos of the seemingly vacant neighborhoods and the life springing forth from within. 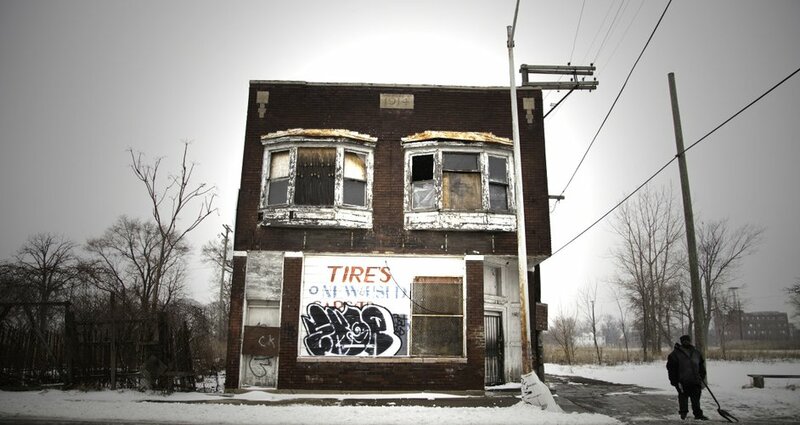 A third of Detroit is now left vacant. 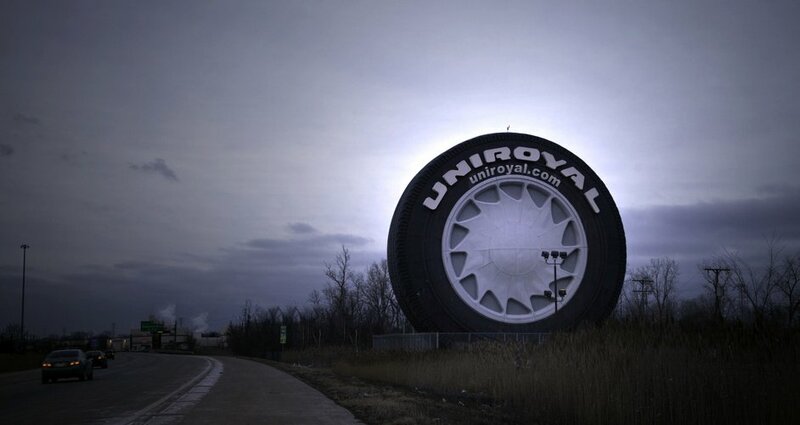 The Uniroyal Tire is an 80-foot tall reminder of what once was. 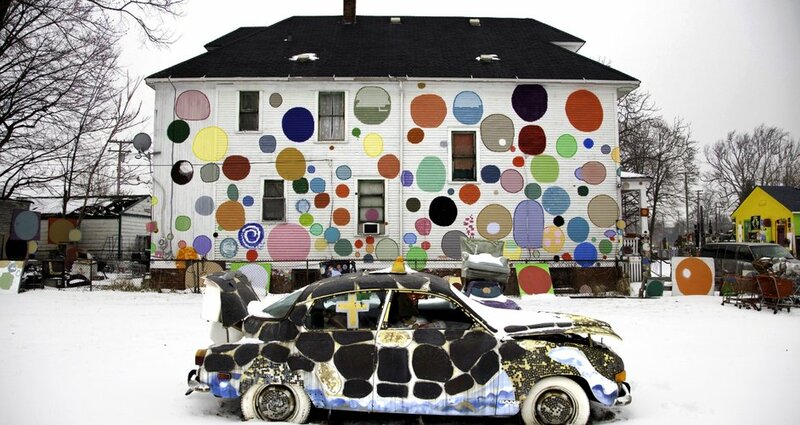 Check out more shots from Volume 1 of the Detroit Renaissance.